Several public bodies in St Helens are uniting to tackle the scourge of knife crime. Police and council bosses, and partners, have teamed up after a series of flashpoints in the borough in a bid to reduce offences. Supporters say the approach aims to reduce incidents of knife crime, with an emphasis on education for young people and effective policing. awareness workshops, keeping vulnerable pupils away from risk and threat. The campaign is targeted at 13-year-olds and above, with the presentation included graphic images of knife wounds, demonstrating the harsh reality knife crime. Council officers have also worked closely with the Ben Kinsella Trust, established by the family of the 16-year-old who was stabbed to death in Islington, London in 2008. The charity is now a leading group in awareness campaigns and knife crime workshops, and the aim is to set up local links in St Helens. 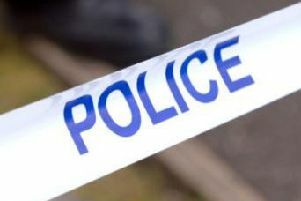 Merseyside Police is said to have demonstrated its ongoing commitment to tackling knife crime with two recent week-long operations and open land searches, in addition to its day-to-day policing. Police inspector Matt Drennan said: “Our recent efforts are part of an ongoing operation to tackle the issue of knife crime across St Helens. We work in close partnership with British Transport Police (BTP) and St Helens Council’s Trading Standards to carry out test purchases of weapons to educate retailers about having a responsible approach to selling knives and we use knife arches and knife wands as a deterrent to stop people carrying knives. people – if you are caught carrying a knife, you are reducing your future prospects. We will act on all information provided by our communities. "A change in the law now means that anyone aged 16-17 years of aged who is convicted of possessing a knife for a second time automatically receives a detention and training order of at least four months. "For anyone aged 18 years or over they will receive a prison sentence of at least six months. The reason for this is that knives kill and people carrying knives are a threat to our communities. Anyone with information can call police on 101 or the Crimestoppers line anonymously on 0800 555 111." "In this way, parents and guardians can help prevent any more tragedies occurring in our borough and I’d urge them to do so."